Elliot has a point. 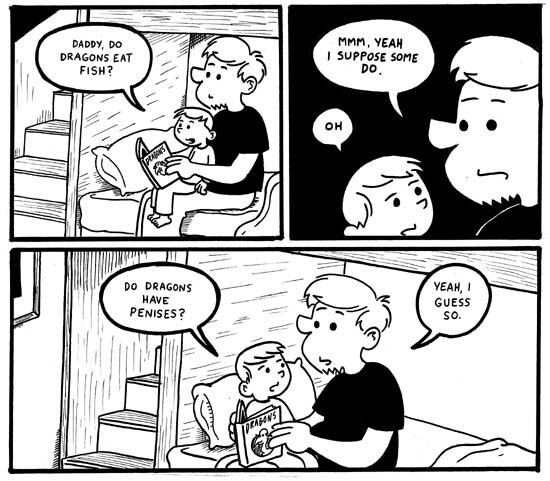 I don’t know if dragon genitalia even exists… and I’m a little afraid to Google the term to see. My classroom is now $50-odd dollars away from having our graphic novel project funded through DonorsChoose. If you have the means, please donate before Thursday. It’s an “all or nothing” proposition, and you’ve got our eternal thanks! I sort of want to use this as my new logo for my life. 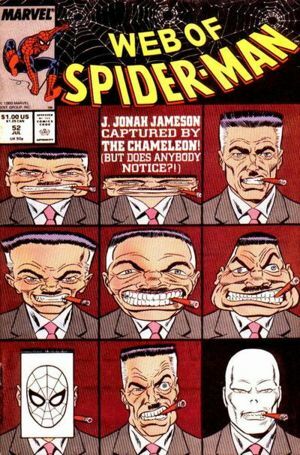 Let’s talk about another comic book I scrounged from the thrift store- fifty cents is what I paid for Web of Spider-Man #52, published in July, 1989 by Marvel Comics. Written by Gerry Conway with art by Frank Springer and John Romita Sr. Someone must have unloaded a complete collection on St. Vincent DePaul, because they had a LOT of issues of Web of Spider-Man at the thrift store. I picked this one up for a couple of reasons… familiarity, for one. Although I might be a little late in commenting on it, I was quite surprised to see FOX’s seminal prime-time animated family, The Simpsons, tackle New York City’s highly debated rubber room this past Sunday. The rubber room is a euphemism for the reassignment center where problem teachers of all shapes and sizes are taken out of their classrooms for reasons legitimate and not-so legitimate. 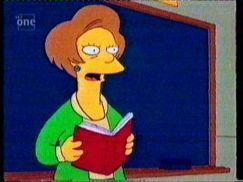 The rubber room subplot was used as a device to pull Bart’s teacher Mrs. Krabappel out of her classroom so that she could meet Ned Flanders and the two could begin a romance. I thought the subplot was a missed opportunity for a couple of reasons. Firstly, it’s been shown that an awful lot of teachers who land themselves in NYC Department Of Education’s rubber room are guilty of nothing more than falling on the wrong side of a principal or trying to enforce school policy. Showcasing that aspect of the problem would have been a nice way to highlight the unfairness of the situation. Instead Edna goes to the rubber room for a legitimate reason- she hits a student, something I’ve NEVER seen the character do in two decades of watching The Simpsons. I’m sure bringing focus to an issue was NOT foremost on the minds of the writing staff of The Simpsons when this episode was made, but I still thought the problem could have been handled more delicately. It certainly could have been done in a way that went against almost every characterization of Mrs. Krabappel I’ve ever seen on the show. Secondly, New York City just did away with rubber rooms last month …so, not very timely. Of course, the vagaries of production of an animated series preclude The Simpsons from being a timely commenter on most news events, major or minor. Still, the timing was unfortunate. 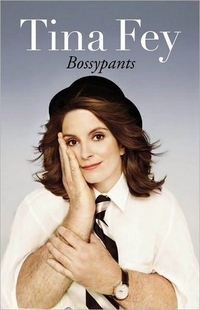 I just finished Tina Fey’s Bossypants. I’ve enjoyed Fey’s work on Saturday Night Live and 30 Rock, but I wasn’t entirely excited about her book. Too many comedians have disappointed me by cashing in their celebrity for a buck with a quickie book. They’ll rewrite their routines slightly, include a bunch of pictures in the middle pages and call it a day. I should have cut Tina Fey a LOT more slack, seeing as she was an award winning writer before she was a performer. There’s some genuinely hilarious stuff in Bossypants. My personal favorite chapter was the ode she writes to her father, but everything in here’s worth a read. 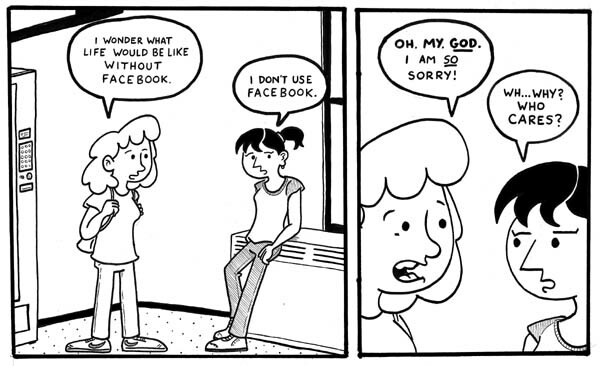 Mondays: Overheard in the Halls- Comic strips featuring student conversations. Tuesdays: Family journal comic – Comic strips with my wife and kids. Wednesdays: Sketchbook posting – I’m going to try to do a little more sketchbook work over the summer. Thursdays: Free day… I haven’t quite decided what, but I’ll have something new up. 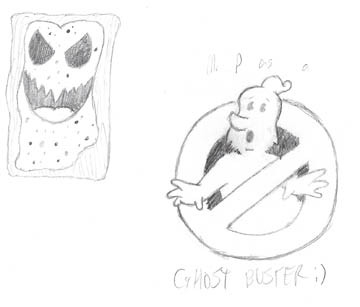 Sundays: Student drawings of me! Of course, being summer, that schedule is subject to massive change. I already know that I’ll be on vacation mid-July and at the beginning of August. So, on my final exam for the year, I had a bonus. 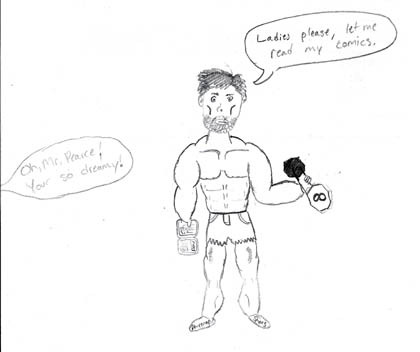 For one additional point on the exam, students were asked to draw a picture of me. I’ve been drawing myself on the chalkboard everyday for the past nine months… I wanted to see their interpretation. No, just look at some of the awesome details- besides my blindingly accurate six-pack of abs, you’ve got me lifting weights that are INFINITY heavy. That’s sick. I know you can’t see it on the drawing, but I’m wearing ar-enge colored shoes, as referenced in this comic back in December. Anyhow, most of the kids had a good sense of humor about the enterprise and they’re a lot of fun. I’ll be posting more of these every Sunday, to replace chalkboard drawings in the next few months. I gotta confess, I was a little taken aback by how bummed I was to learn about the death of Randy “Macho Man” Savage, professional wrestler. I had a brief obsession with professional wrestling for two or three years in my childhood and Macho Man was a cornerstore of the WWF at the time when I was a fan. The first televised match I watched was Wrestlemania VIII, where Savage wrestled Ric Flair for the WWF Championship. I don’t know why I drew the Nirvana baby. You are currently browsing the Teachable Moments blog archives for May, 2011.